Leeds City Council has announced that the proposed Clean Air Charging Zone (CAZ) that is aimed to reduce air pollution in Leeds by encouraging businesses to move towards cleaner, less polluting vehicles has been approved by the Government. The worst polluting buses, coaches, heavy goods vehicles, taxis and private hire vehicles will be charged by means of automatic number plate recognition (ANPR) cameras. Some of these cameras will be fixed and some will be mobile. The cameras will be active 24 hours a day, 365 days of the year. Leeds City Council has been given approximately £6.3m in funding from the Government to cover the costs associated with these cameras and other infrastructure required for the operation of the zone. Private cars, vans and motorcycles will not be charged to use the CAZ. The daily charge for buses and coaches not meeting the minimum emissions standard of Euro VI is £50 per day. To help businesses based within the zone boundary transition to cleaner vehicles and avoid daily charges, the Government has confirmed that £23m of the £29m total funding will be available to support affected businesses. Leeds City Council executive member with responsibility for sustainability and the environment, Cllr James Lewis, said: “Having now received the green light from the Government, our priority is to ensure the successful delivery of the Clean Air Charging Zone as required by Ministerial Direction over the next 50 weeks. During December 2017, First Leeds announced plans, as part of the Leeds City Council and West Yorkshire Combined Authority initiative Connecting Leeds, to invest £71m in a total of 284 Euro VI-emission vehicles for the city by 2020. The phased introduction of the new vehicles has so far seen over 100 Mercedes-Benz Euro VI powered Wrightbus Streetdecks enter service at First Leeds Bramley and Hunslet Park depots. Eight of the vehicles that have already been delivered were Streetdeck HEVs, equipped with the latest Wrightbus parallel hybrid system, for use on Leeds’ Elland Road and Temple Green Park & Ride sites. 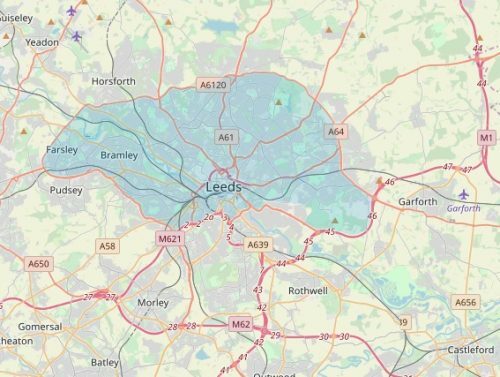 The CAZ plans come after the Government instructed Leeds City Council to tackle air pollution in Leeds as soon as possible after finding that parts of the city would likely fail legal air quality levels by 2020. The CAZ is set to go live from 6 January 2020.